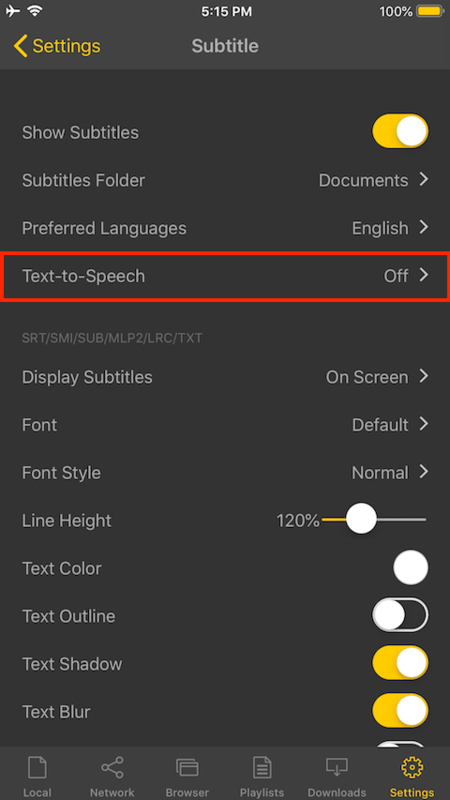 The subtitles in text format (SMI, SRT etc) can be played with speech voice. 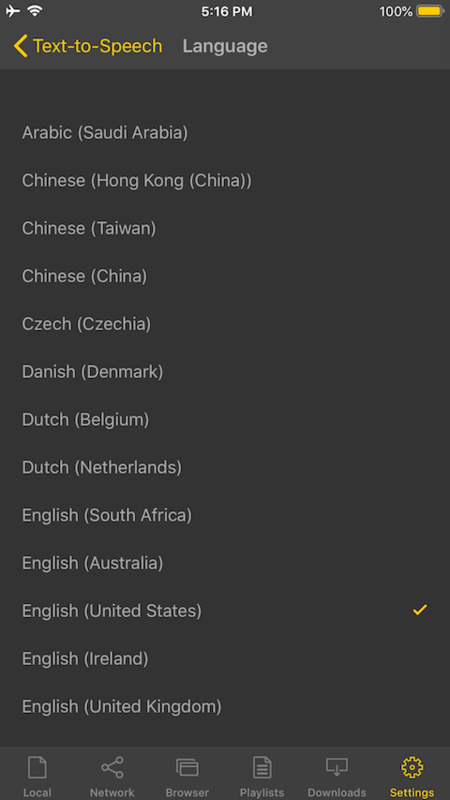 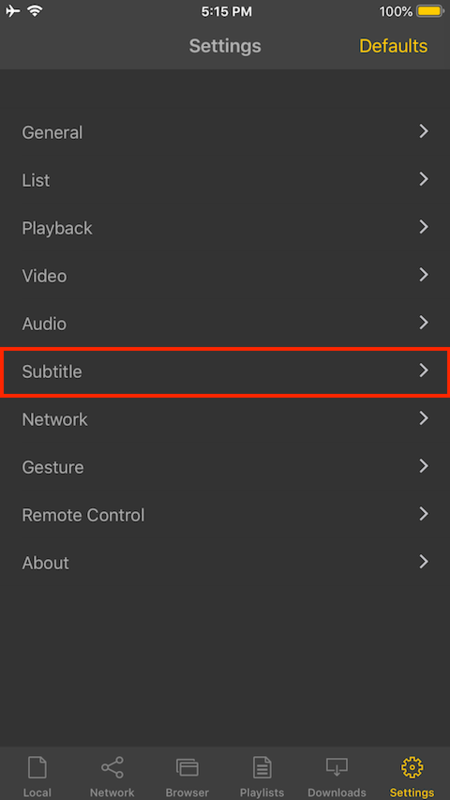 Go to tne Settings tab at the bottom and select Subtitle. 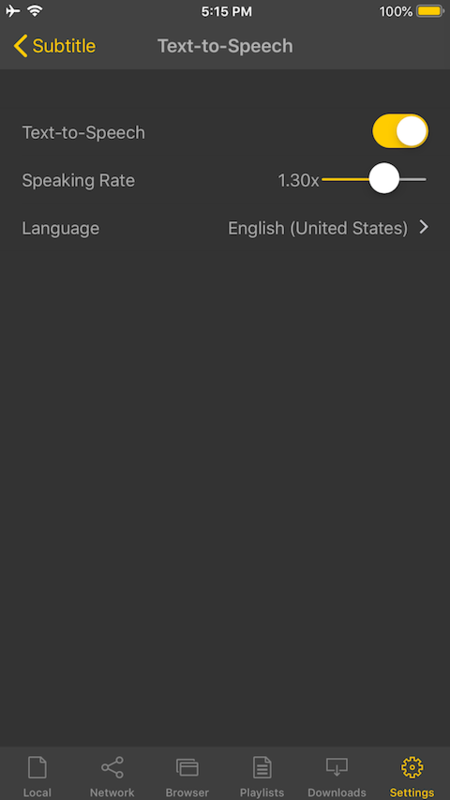 Enable Text-to-Speech, and set Speaking Rate and Language. 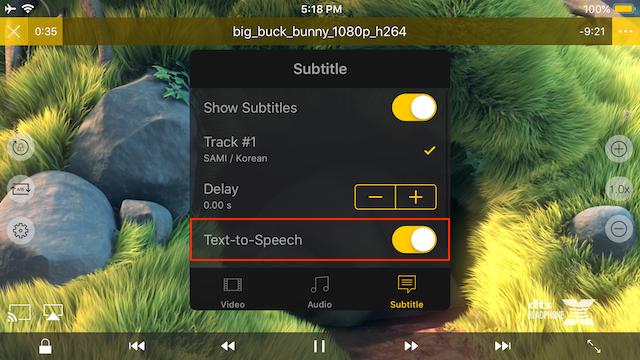 Text-to-Speech can be set on a playback screen also.